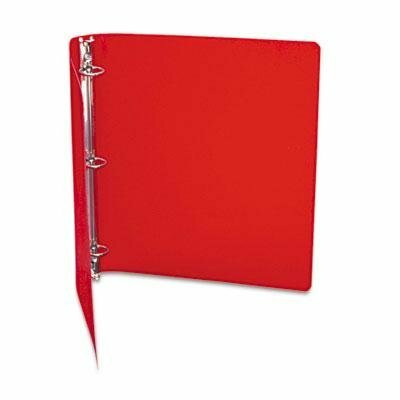 6 pack - ACCOHIDE Poly Ring Binder With 35-Pt. Cover 1" Capacity Executive Red - Durable ACCOHIDE® poly material was built for frequent use. It won't crack rip or tear. Matte finish on covers for a professional appearance. Semi-rigid cover is built to handle rough use and resist splits or tears. Capacity Range [Min]: 0" Capacity Range [Max]: 1" Sheet Capacity: 175 Color(s): Executive Red.